In the gorgeous area of California bordering the historic mining country of Nevada, the Tahoe Regional Planning Agency (TRPA) is leading a cooperative effort to preserve, restore, and otherwise improve the unique natural and human environment of the Lake Tahoe Region, while revitalizing local communities. 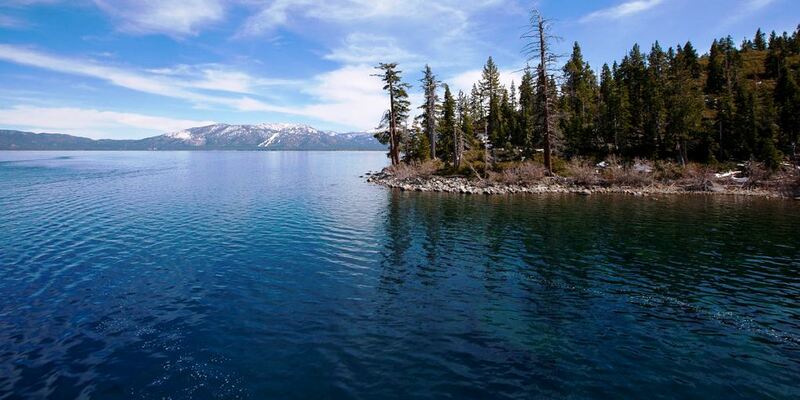 Lake Tahoe is the largest alpine lake in North America, and trails only the five Great Lakes as the largest by volume in the United States. Its depth is 1645 feet (501 meters), making it the second-deepest in the U.A., after Crater Lake in Oregon (1945 feet / 593 meters). On November 15, 2018, the TRPA’s 15-member Governing Board unanimously approved the U.S. 50 South Shore Community Revitalization Project, as proposed by the Tahoe Transportation District. I (Storm Cunningham) am happy to hear it. The South Shore has long been a bit of a congested blight on an otherwise-beautiful place. Many years ago, I rented a Harley Davidson Soft Tail there, and took a memorable tour around the lake and through the nearby Nevada mining ghost towns. The approved project realigns approximately one mile of U.S. Highway 50. It reroutes the highway to run behind Heavenly Village and the Stateline casino core to significantly reduce traffic congestion in that area and reduce cut-through traffic in the Rocky Point neighborhood. The project also expands on past redevelopment to create a bike, pedestrian, and transit-oriented main street corridor that extends throughout the Stateline area in California and Nevada for continued economic revitalization and improved community mobility. “This transformative project has been years in the making and will be a signature example of environmental redevelopment at Lake Tahoe. It will improve safety, transit services, traffic flow, housing, economic vitality, recreation access, and quality of experience for residents and visitors in one of the South Shore’s most heavily-visited areas,” said Joanne S. Marchetta, executive director of TRPA. The former five-lane highway route between Pioneer Trail in South Lake Tahoe, California and Lake Parkway in Stateline, Nevada will become a two-lane main street with expanded sidewalks and bike lanes, enhanced transit services, streetscape improvements, sites for mixed-use infill redevelopment, and a pedestrian bridge from the casino core to the Van Sickle Bi-State Park. The project also provides better community housing. It will replace more than the 76 aging housing units displaced by the new highway alignment by building 109 new affordable housing units. All the new housing units will be built within one-quarter mile of the project area, served by transit, and remain affordable for residents through permanent deed restrictions. TRPA, Tahoe Transportation District, and Rocky Point residents will work together to develop an amenities plan for the Rocky Point neighborhood. The plan will target numerous improvements including community parks, green space, sidewalks, lighting, wayfinding signage, and safe and convenient access to nearby commercial areas and recreation sites. The project’s approval by TRPA also requires the collaborative development of a Main Street Management Plan for the former highway alignment. It will detail the specifics of transit, bike, and pedestrian circulation; parking management; wayfinding signage; and streetscape amenities in the main street corridor to ensure the area is utilized to its greatest potential. TRPA and Tahoe Transportation District will convene a group of partners to help develop the plan with residents and business owners, including the City of South Lake Tahoe, Douglas County, Lake Tahoe Visitor’s Authority, Tahoe Douglas Visitor’s Authority, South Tahoe Alliance of Resorts, Lake Tahoe South Shore Chamber of Commerce, and League to Save Lake Tahoe. 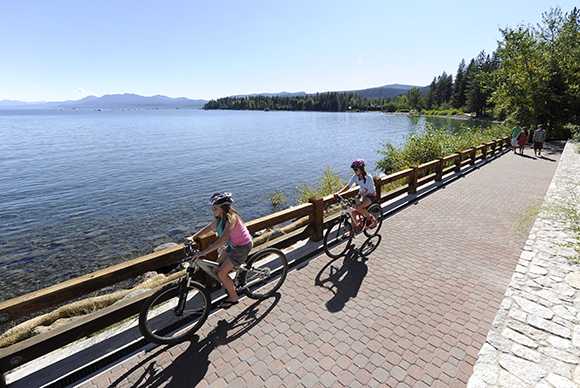 The U.S. 50 South Shore Community Revitalization Project has been a top priority for the Lake Tahoe Region for several decades and is the backbone project for numerous transportation and community revitalization plans. Tahoe Transportation District hosted more than 150 meetings in recent years to receive public feedback, answer questions, and refine the proposed project. Featured photo of Lake Tahoe is by Lara Farhadi (via Wikipedia). All other photos are courtesy of TRPA.